The Green-lipped mussel (Perna canaliculus) is so much more than just a mussel. This mollusc, which owes its name to its green-lipped shell, is only found in the extremely clean waters of the Marlborough Sounds in New Zealand. The Green-lipped mussel cannot be kept alive anywhere else, not even in an aquarium! 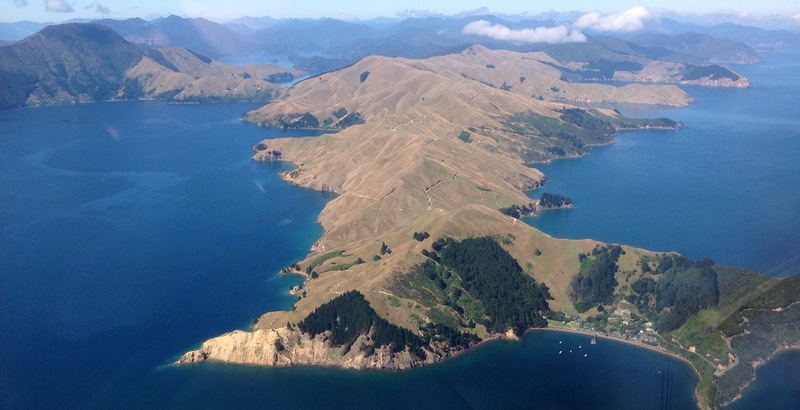 It therefore comes as no surprise that the Marlborough Sounds are protected and its waters are strictly monitored for pollution. It is thought that the Green-lipped mussel gained notoriety a few decades ago when it was discovered that the native Māori living along the coast have a significantly lower prevalence of joint problems than their counterparts living inland. 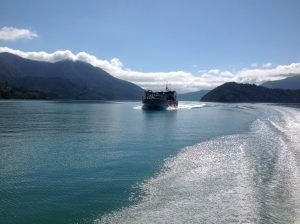 It turned out that the Māori who live along the coast regularly consume Green-lipped mussels, unlike those living inland. 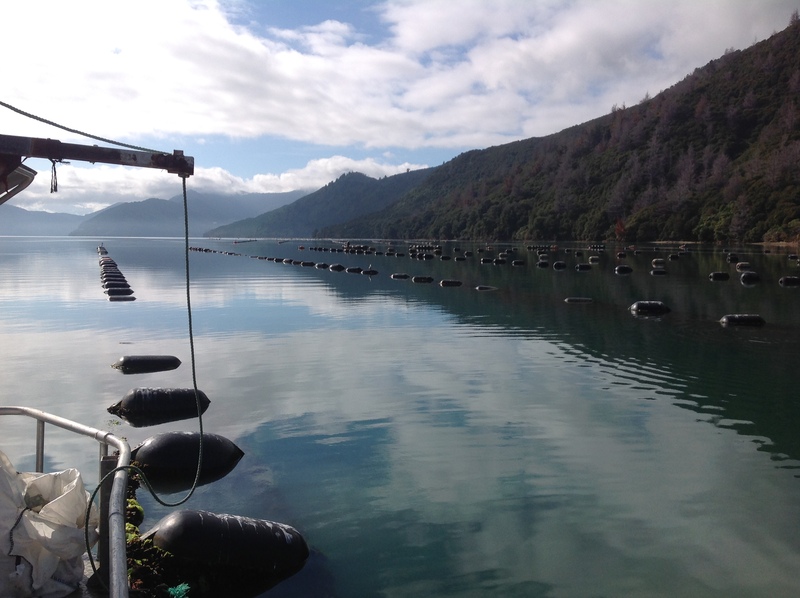 Meanwhile, following the publication of several successful clinical studies, a whole industry has emerged for the processing of Green-lipped mussels for joint products, which are now used by consumers all over the world. 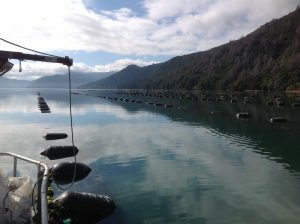 However, the quality of these products can vary considerably due to variations in the processing of the mussel and the way they are administered. 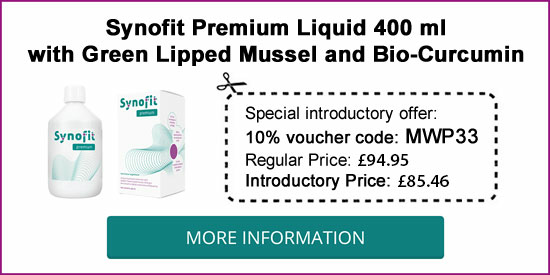 In this article, we focus on products containing the entire Green-lipped mussel, which is made liquid without prior processing and administered as such. 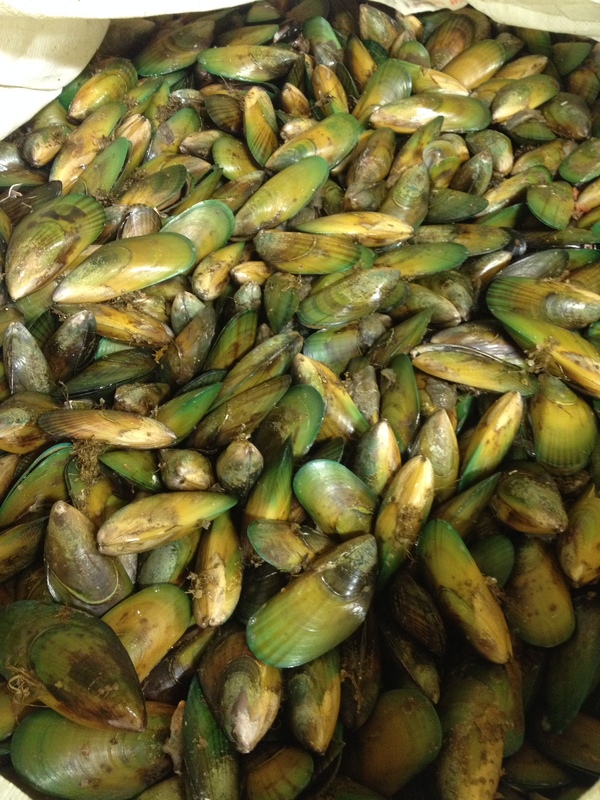 This is the best option, because the Green-lipped mussel is best-used whole so that none of its ingredients is lost due to heating of freeze-drying. Moreover, liquid products are generally more easily absorbed in the gastrointestinal tract than powders and pills. 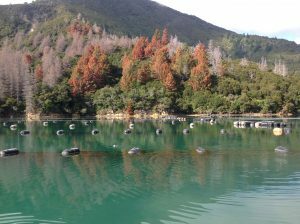 What does the Green-lipped mussel contain? The Green-lipped mussel is a unique mussel with many interesting components, as outlined below. Some people who have joint issues take fish oil, that contains the famous Omega-3 fatty acids EPA and DHA, which are well known for their anti-inflammatory effects. Omega-3 supplements containing EPA and DHA are another option. The Green-lipped mussel contains several types of Omega-3 fatty acids: EPA and DHA, but also ALA, SDA, ETE, DTA, DPA and the relatively rare ETA. Some of these fatty acids can be converted into other Omega-3 fatty acids. All in all, a very rare and interesting combination! Omega-3 fatty acids have an anti-inflammatory effect because of their structure, which resembles that of the pro-inflammatory Arachidonic Acid . The latter can be converted into prostaglandins – which boost and strengthen the inflammation – by the COX-2 enzyme. However, when the COX-2 enzyme is paired with a considerable amount of Omega-3 fatty acids, it converts the latter rather than Arachidonic Acid, forming metabolites that do not promote inflammation, but instead inhibit it [1, 2]. Some Omega-3 fatty acids can also immediately inhibit the COX-2 enzyme by blocking its active site . This reduces the formation of prostaglandins, which eventually stops the inflammation. A similar process occurs with the 5-LOX enzyme, which is capable of converting Arachidonic Acid into leukotrienes, pro-inflammatory mediators. Omega-3 fatty acids can also inhibit this process . Up until a few years ago, a Green-lipped mussel product containing an extract of the mussel fat claimed it was Omega-3 fatty acids that produced its anti-inflammatory effects. However, recent studies showed that once the Omega-3 fatty acids were removed, the products still contained an anti-inflammatory ingredient , which was subsequently identified as ‘Furan fatty acids’ . In rats with inflamed paws, Furan fatty acids also proved to inhibit the inflammation, even more so than EPA and naproxen (an NSAID) . This revolutionary discovery of a relatively unknown component of the Green-lipped mussel was then published in the famous journal PNAS. The Green-lipped mussel is a natural source of Glycosaminoglycans, such as Glucosamine and Chondroitin 4- and 6-sulfate. As such, there is no need to take these two substances as separate preparations, because the Green-lipped mussel already contains them. 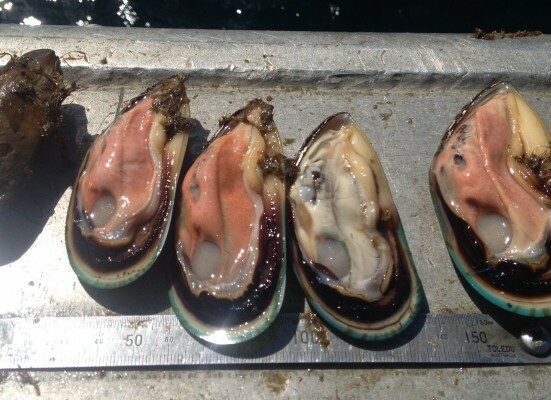 A study using a Green-lipped mussel extract developed by the researchers themselves shows that the inhibition of pro-inflammatory cytokines (signalling molecules that boost inflammation) was neutralised when the proteins in the extract were destroyed . The inhibition of COX-1 and COX-2 did, however, remain . This shows that proteins to play a role in the Green-lipped mussel’s anti-inflammatory effect, but that this does not apply to the inhibition of COX enzymes, which is probably only achievable through Omega-3 fatty acids (and possibly furan fatty acids). In which cases of arthritis may Liquid Green-lipped Mussel with Curcumin be beneficial? In rheumatic diseases with inflammation, doctors usually prescribe NSAIDs. However, the use of these anti-inflammatory painkillers can be accompanied by unpleasant side effects. More and more people with rheumatic complaints, therefore, opt for liquid Green-lipped mussel with Curcumin and Blackcurrant leaf. This natural anti-inflammatory and painkiller give a good result in 70 % of users. Which joint complaints may respond well with this combination of ingredients? And which complaints seem to yield lesser results? 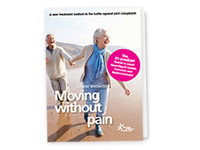 ‘Moving without pain’ has summarized this for you below. The mechanism of NSAIDs – such as Ibuprofen, Motrin, Celebrex, Advil, Naproxen etc. – is based on the slowing down of COX-2. This enzyme plays a major role in the conversion of arachidonic acid into prostaglandins, which causes joint inflammation. The disadvantage of these anti-inflammatory painkillers is that they also make the COX-1 enzyme less active. This is bad since this enzyme has a protective effect on the gastrointestinal tract. That is why the use of this generation of NSAIDs can be accompanied by many unpleasant complaints of the gastrointestinal tract, such as inflammation of the gastric mucosa, nausea, vomiting and ulcers and may promote bleeding. These and others are reasons for many to not use these medications or to stop using them altogether. 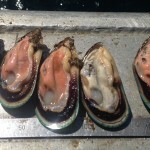 How does the Green-lipped mussel inhibit inflammation? One of the few alternatives to NSAIDs is the liquid Green-lipped mussel with Curcumin and Blackcurrant leaf. 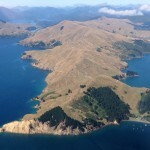 The New Zealand Green-lipped mussel contains a high concentration of Omega-3 fatty acids, including some very rare ones. These have virtually the same structure as arachidonic acid. If sufficient Omega-3 fatty acids are present, the COX-2 will become unable to further convert arachidonic acid into inflammatory prostaglandins. Instead, this enzyme will convert the fatty acids present into metabolites that dampen the inflammation in the joints. The second ingredient in this liquid joint care product is Curcumin. This natural ingredient reduces the production of inflammatory enzymes and reduces cartilage-degenerating enzymes in the joints. Blackcurrant leaf also has an inhibitory effect on the inflammatory COX-2 enzyme. None of these ingredients affects the gastric protective COX-1 enzyme, thereby avoiding the damage that NSAIDs commonly do. Osteoarthritis is a degenerative joint disease in which the cartilage in the joint becomes thinner and softer. As a result, this protective elastic lining will start wearing off (degeneration) on the bone-end of the joints. This process can be accompanied by mild inflammation. It is important to prevent this process because inflamed joints lead to more cartilage damage and further wear leads to more painful inflammation. 70 % of users, within 80 days, of Liquid Green-lipped mussel with Curcumin and Blackcurrant leaves, report good results. It is generally recommended to continue, conservatively, your regular over the counter painkillers until this joint treatment begins to work. Otherwise, there is a good chance that you will have to suffer a period of unnecessary discomfort until the liquid Green-lipped Mussel with Curcumin and Blackcurrant leaf begins to noticeably work. Two Belgian (Brussels) hospitals have conducted an observational study into the effect of liquid Green-lipped mussel, Curcumin and Blackcurrant leaf on low back pain and knee osteoarthritis. The researchers found a significant improvement in pain and movement limitations. Meanwhile, a follow-up study has been carried out, the results of which also show positive effects with low back pain. In rheumatoid arthritis or inflammatory rheumatism, the joint lining is inflamed in one or more joints. This is accompanied by pain and swelling. The liquid Green-lipped mussel with Curcumin and Blackcurrant leaf shows somewhat slower results than with osteoarthritis. This is believed to be due to the nature of rheumatoid arthritis inflammation, which is generally somewhat more persistent. The commonly reported experience is that, within 80 days, the pain and swelling begin to decrease. As with any medication, supplement, information, or even change in activity, we will always recommend discussing your personal situation with your medical doctor before implementing any changes. In the case of polyarthritis, the cartilage wears out in five or more joints at the same time. This condition, therefore, generally, has a different cause than osteoarthritis, which is the result of ageing. Polyarthritis is considered an autoimmune disease, in which the immune system turns against healthy body cells. In this case, the cartilage in joints. The liquid Green-lipped mussel with Curcumin and Blackcurrant leaves often relieves joint pain within 80 days. This form of rheumatism does not affect the joints, but the muscles and the connective tissue. Fibromyalgia is also called soft tissue rheumatism or muscle rheumatism. There are patients who benefit from the liquid Green-lipped mussel with Curcumin and Blackcurrant leaf. There are also patients who do not report any effect. If complaints include inflammation, then it is certainly worth trying this product for 80 days. If you fail to notice results, then stop it completely after that time. Gout, psoriatic arthritis and Bechterew’s disease are all three forms of inflammatory rheumatism (arthritis). This means that the natural anti-inflammatory agents in the Green-lipped mussel with Curcumin and Blackcurrant leaf may have a positive effect on these disorders. A number of people with one of these forms of rheumatism have informed us that they have used this natural anti-inflammatory product. Almost always with good results (some reported little improvement). However, the number of users with these disorders is still too small to draw definitive conclusions. It is always recommended to try this treatment for 80 days. With no result: stop after 80 days. In case of a frozen shoulder and bursitis, inflammation in the joints plays a major role. Both disorders often resolve (at least symptomatically) over time. According to reports from some visitors of ‘Moving without pain’, the liquid Green-lipped mussel with Curcumin and Blackcurrant can support recovery. Sjögren’s syndrome is a chronic inflammation of the glands of the mucous membranes. In addition to dry eyes and dry mouth, this condition is also associated with muscle and joint complaints. One visitor to ‘Move without pain’ with this syndrome has informed us that they have used the liquid green lip mussel with Curcumin and Blackcurrant leaf and found it to be beneficial. Obviously, this is only an anecdotal improvement concerning one person. Experts estimate that at least 80% of people will experience a back problem at least once in their lives. Over half of working Americans reports recurring back pain. The observation study of two Brussels hospitals has shown that liquid Green-lipped mussel with Curcumin and Blackcurrant leaf often is beneficial for back complaints. The pain and movement limitations of participants decreased significantly. A follow-up study in these hospitals also confirmed these findings.